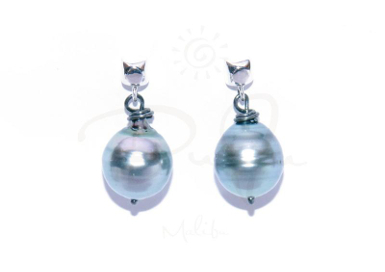 Drop earrings with Tahitian pearls. Made in Malibu CA with a natural look. Worn to the beach or for business attire.